Thanks to many changes regarding search engine optimization and managing social media accounts in 2013, your plan for online content development will probably need some adjustments in the near future. What steps can you take to fully prepare your marketing plan going forward? 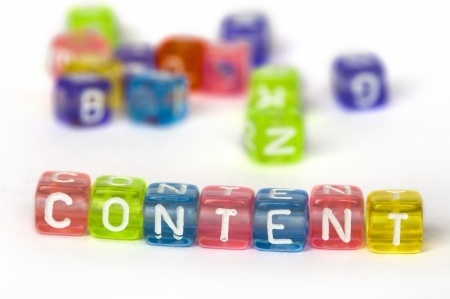 Here are some tips that will help in online content development. The fact is, responsive websites are here to stay. The faster and most effective way to engage your consumers is to be accessible where ever they are. That means that your content needs to be designed to fit whatever screen your consumers are using to access your site. The most accessible you are, the more your consumers will use your online content. Social media messaging has given the impression that email is somewhat archaic. However, in terms of ROI, email marketing is still a major player in the online content game. Email gives you the perfect opportunity to engage when you have their full attention, rather than them skimming your message in a news feed. As you plan for online content development, keep conversations via email, along with lead generation at the top of your priority list, as email marketing continues to be an effective way to start conversations with your consumer. What is retargeting? It’s a subtle shift in advertising that you may not notice at first but trends for 2014 require you to take notice. It’s a system of repositioning ads for consumers after they have visited a site to encourage further interaction. When your consumer leaves your site and visits another, your advertisement will appear again on another site. This increases the chances that your consumers will engage, especially when considering that consumers usually don’t click on an ad the first time they see it. Retargeting allows you to prove your ad is worthy of their “click” on top of grabbing their attention. As you plan for online content development in the coming year, these trends will definitely pop up on your radar. At Susan J. Campbell Copywriting Solutions, we see the trends coming and have great ideas on how to integrate them into your marketing plan, so contact us today and let’s start today. This entry was posted in Online Content Development and tagged content marketing, online content development, online content marketing, Susan J. Campbell Copywriting Solutions. Bookmark the permalink.